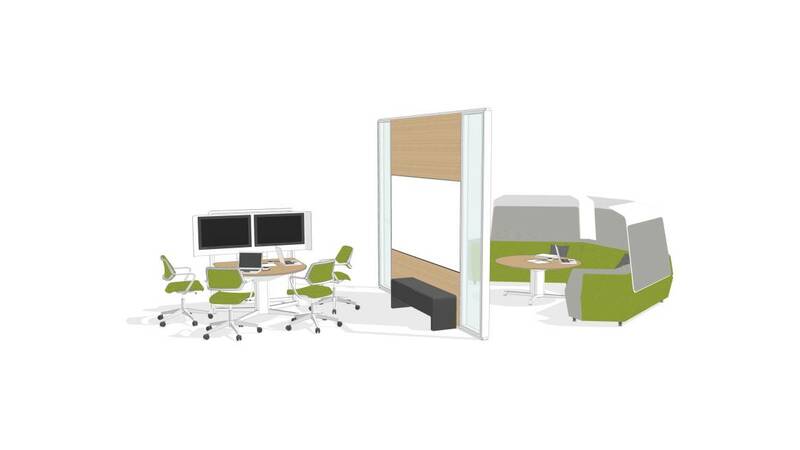 Multiple media:scape posture options allows users to choose the appropriate level of boundary and formality for the collaborative session at hand. A partial enclosure allows workers to collaborate and share media without entirely removing themselves from the energy and activity that surrounds them. Adjacent is a space Ideal for short stints, this makes it easy for users to share their ideas using media:scape and an adjacent whiteboard.